Not usually one for period dramas but on a cold January morning I decided to take a visit to Manchester’s Home cinema to see what all the fuss was about with the Oscar favourite The Favourite. 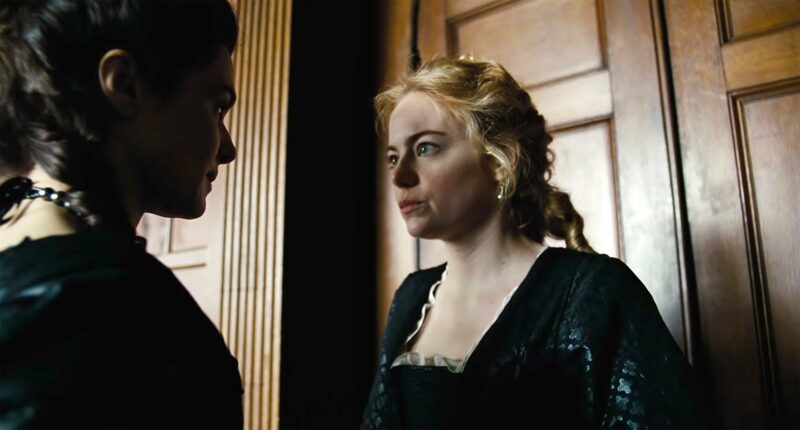 With nominations across the awards season and British actress Olivia Colman already bagging a Golden Globe for her lead role as Queen Anne, I was keen to see it on the big screen. The main draw was the word ‘hilarious’ being thrown around on the posters! No doubting Colman, who has proved time and time again her props for comedy timing. And Emma Stone – supporting as Abigail, a girl sold to pay for her father’s gambling debts – has good form for comedies too. But it’s ambitious for period dramas to go for laughs whilst wanting to be taken seriously by the Academy. Can it be done? Firstly the film looks stunning. Set in and around an English palace in the 18th Century with all the opulence and grandure you would expect from a Royal story. It’s beautifully shot with music and scene titles cutting nicely into the opening scene. Barely beneath the surface we are shown the filthy sordid lives of those downstairs. It slowly creeps into view alongside our royal Queen through those who work and care for her. From servants to politicians, the costumes are fabulous with the most extravagant wigs. We quickly get to grips with the lives these interesting characters are living. Alongside the supporting Stone, great English accent by the way, we have Lady Sarah (Rachel Weisz) acting as a confidant to the Queen advising her on all matters of the state but mostly encouraging her to make decisions which she is keen to make herself. Effectively it is she who appears to run the country. We see Abigail taken on as a servant, a favour from Lady Sarah but still living a very hard existence and being treated extra hard in the kitchen and servants quarters. Through sheer grit and determination to quickly improve her life, she finds a way to interact with her master. By keeping in close contact it takes just a short amount of time before she quickly gets favoured. The story gains pace and in a battle of wills we see the two cousins vying for Queen Anne’s affection and love. She is desperate for someone to share her life with and there’s good value in the heartbreaking story of the children she longs for. However, the content is somewhat vulgar with frequent swearing. It feels very modern, almost as if to cater to the Game of Thrones generation I.e. often unnecessarily sexed-up. The characters teeter on the ridiculous at times but they do feel real and for this it is refreshing. Undoubtedly this is a very well made film. Even the dramatic door slams accompany the music wonderfully and there are some great performances from a stellar cast. Nicholas Hoult does no harm to his glowing reputation, again standing out as leader of the opposition; he is endearing and funny but quite vile. When I hear the word hilarious banded about I’m prepared for some real laugh out loud moments and they just don’t come. I chuckled once or twice but it certainly isn’t hilarious. 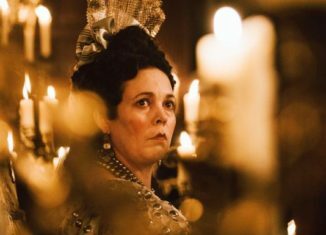 However, Olivia Colman will be very deserving of her Oscar, so it’s a must-must-see for that. If you like period dramas done a bit differenty then go for it, but if not… I don’t think this will change your mind. Check out more of our coverage in preparation for The Oscars 2019 right here.